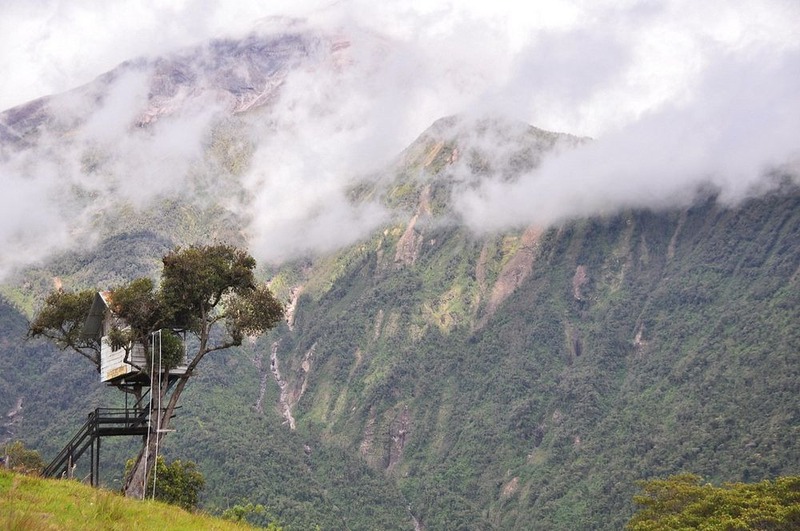 For the past few years, Carlos Sanchez, a volunteer with the Military Geographical Institute, has been assisting a group of a volcanologists by observing and recording the activities of the Tungurahua volcano from a lonely tree house he had built on a green mountaintop near Baños, Ecuador, less than a mile away from the volcano's crater. 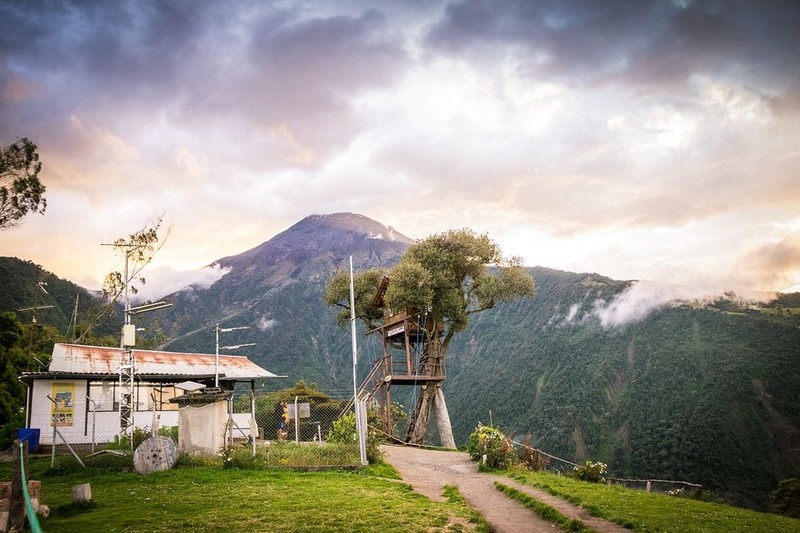 From this vantage point, Sanchez watches for potential pyroclastic flows that can rapidly move downslope towards the city of Baños, located at the foot of the volcano, 8 km (5 miles) to the north. 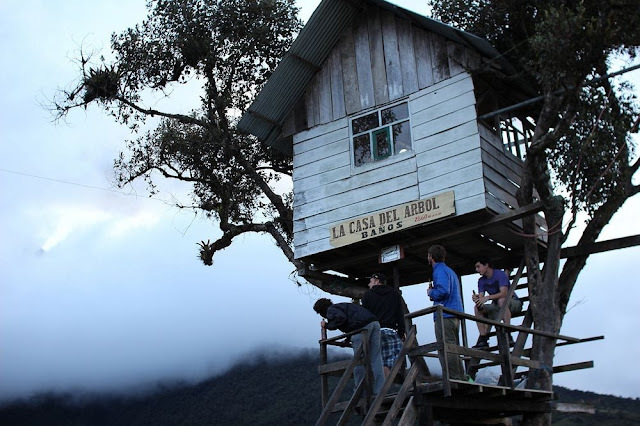 Sanchez is equipped with a radio via which he can send alerts to the Observatory so that the inhabitants can be evacuated on time. 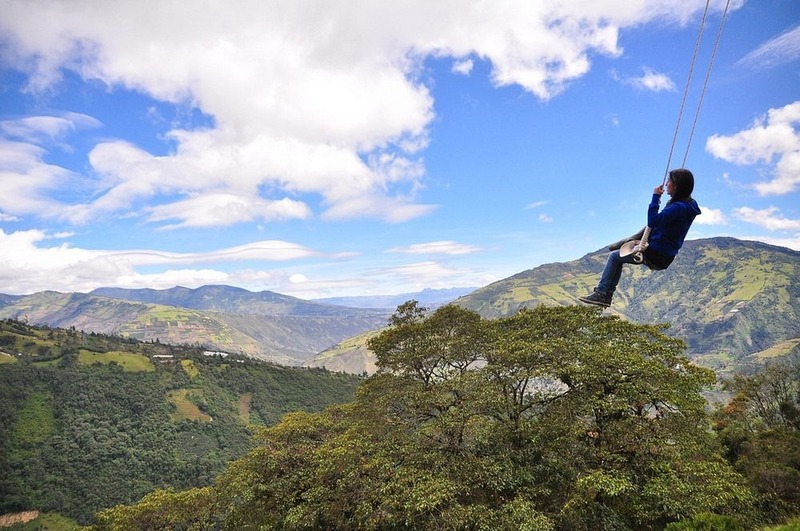 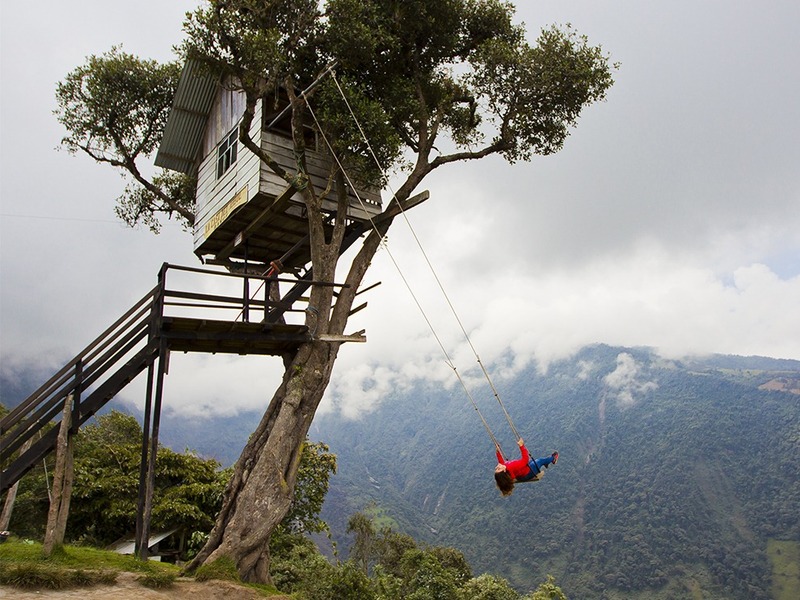 Sanchez’s family often visited him on his tree house on weekends, and to keep them entertained, he decided to build a simple wooden swing dangling from a branch that swung out over the edge of the mountainside. 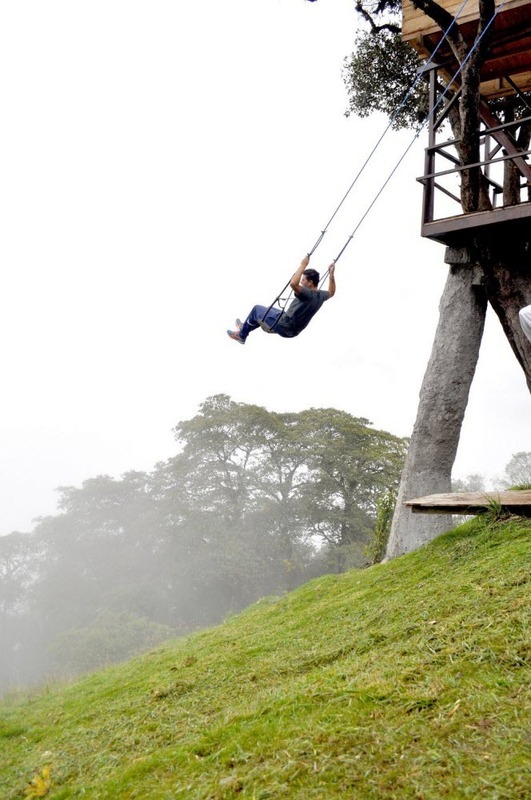 Then someone saw it and posted photos of this amazing swing on the internet, and now this place is swarming with tourists.